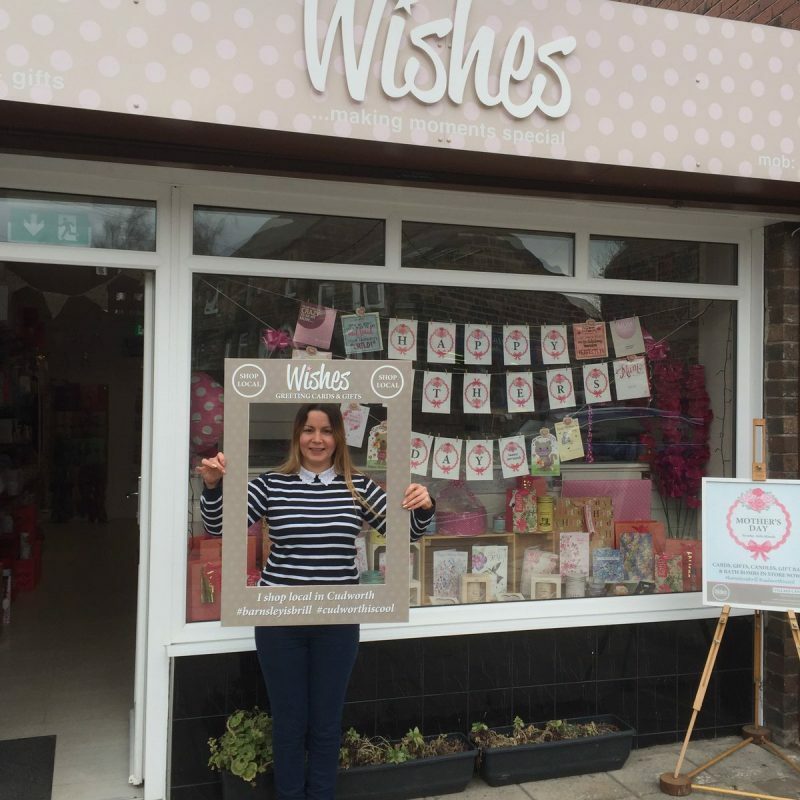 Julia Keeling is the owner of Wishes: Greeting Cards and Gifts and is proud to be one of our Bunny Stops. 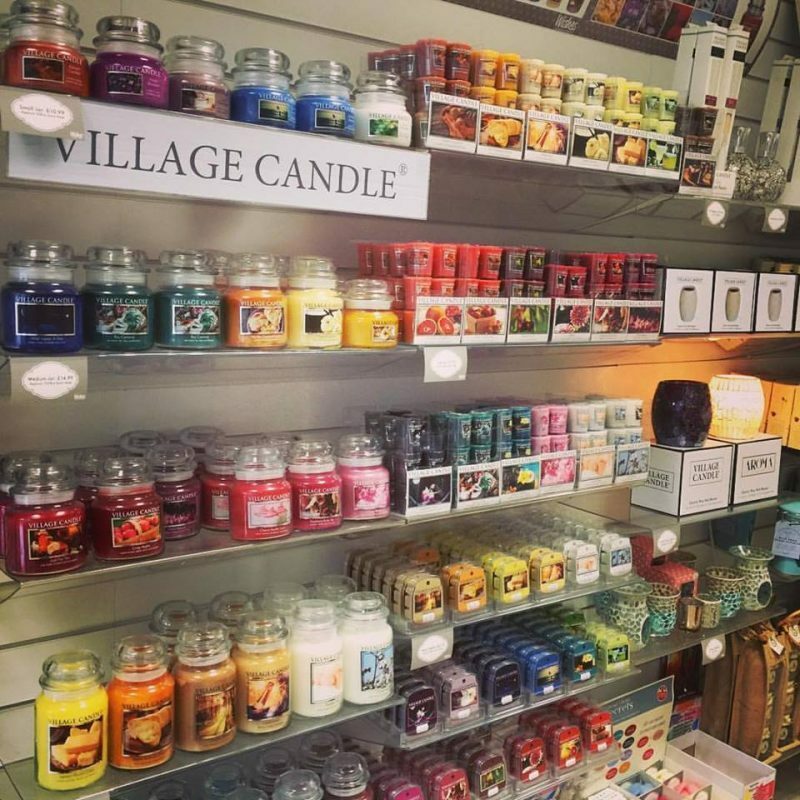 We also sell gifts including candles: Village Candle, Goose Creek and Heart & Home. We stock bath bombs, marbles and soaps including gift sets. Mrs Bridges jams and preserves. Cartwright and Butler biscuits. Star Wars, Marvel & DC Itty Bitty Toys. WishStrings, scarves and partywear including foil helium balloons (All our balloons include blowing up, ribbon and a weight). We really do have cards and gifts for all occasions with new products arriving every month. How long has shop been open? We’re coming up to our 3rd birthday in September. The people of Cudworth have been really welcoming and it’s a pleasure to part of the community. Why did you become a bunny stop? Because we love bunnies… which is true but it’s more about creating a buzz around Cudworth. We think the shop local message is important. We hope the Cudworth Bunny Trail will encourage people to explore our lovely village in the school holiday with their children. The Cudworth Bunny Trail is a free activity which should keep the family entertained as they follow the bunny trial. The bonus is that it highlights the many wonderful independent shops on Cudworth highstreet and surrounding areas. Not just the shops with the bunnies too – everyone should benefit from a busier high street. We love Cudworth and here at Wishes we’re on mission to make Cudworth Cool (Well even cooler). Taking inspiration from the #barnsleyisbrill hash tag we’ve come up with our own; #cudworthiscool. Over the next few month’s we’ll be running special promotions in the shop’s to support our wonderful village including the Cudworth Bunny Trail. We want as many people as possible to shop local. We’ve some fantastic shops on Cudworth high street, from Deacons Superdec to Buttercups Florist and Poppy’s Florist & Coffee Lounge. We’d love if everyone could spread the word and support our shops. A nice Facebook review, a cheeky Tweet and friendly recommendation would mean the world to all of us. Plus of course let’s all get on the Cudworth Bunny Trail too. Our own two little tinkers – Molly (Fluffy, lazy and hungry) and Pedro (Tiny, cute but deadly).